Get a FREE sample of the NEW Daily Defense Protective Day Cream which contains a unique triple action formula – broad-spectrum UV protection, Physiogel BioMimic Technology®, and antioxidants. Scroll down the page to locate the form. Simply fill out the form and you’ll have this freebie in no time! Product Samples(s) provided while stocks last. Note: A maximum of 2 samples will be sent to each delivery address. Incomplete address details provided will lead to cancellation of the request. 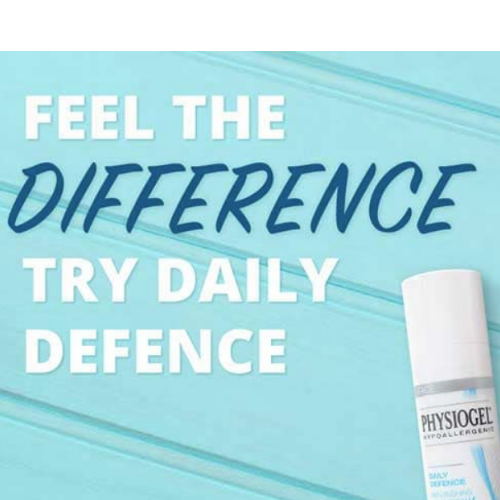 By providing the additional information you will enable Physiogel® to more accurately provide you with relevant health information, offers, and communications.